Fall is in full swing and you may be getting that “itch” for some change. Why not switch up your hair color with the newest trend hitting the salons. Instead of balayage, we are seeing warmer, richer tones that some of the hottest stylists are phrasing as “fallayage”. What is “fallayage” you may ask? It’s subtle, low maintenance, and absolutely gorgeous! By moving to the autumn-inspired colors, you are creating dimension and adding shine back into your locks without completely sacrificing your sun-kissed color that you loved from the summer. This can easily be used to tone down and deepen your existing balayage or highlights without having to completely change your hair color. Depending on your hair type and skin tone, you can move toward the honey, maple, or even sunset tones. 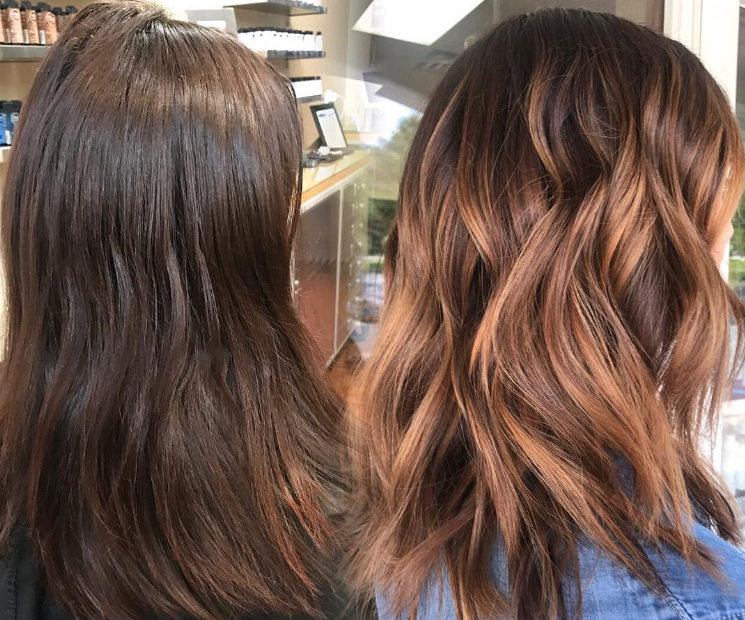 If your hair already has been lightened by highlights, your Von Anthony stylist can give you options of a heavier application of the fall balayage colors to help balance out your color and give you a look better suited for autumn that can take you into winter. Ready for a change but aren’t sure what tones and colors are best for you? Let our team of professionals at Von Anthony Salon show you how to create a new trendy look with a change in your hair color that can carry you through winter. Call us at 972.731.7600 to schedule your appointment or take advantage of our mobile app and schedule at your convenience. Download it free from iTunes, Google Play, or Amazon.